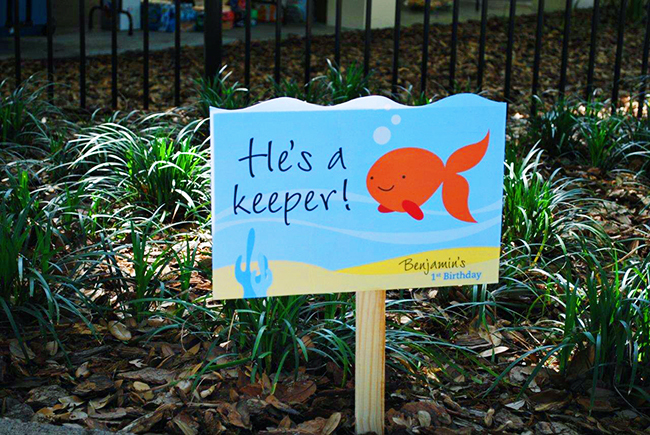 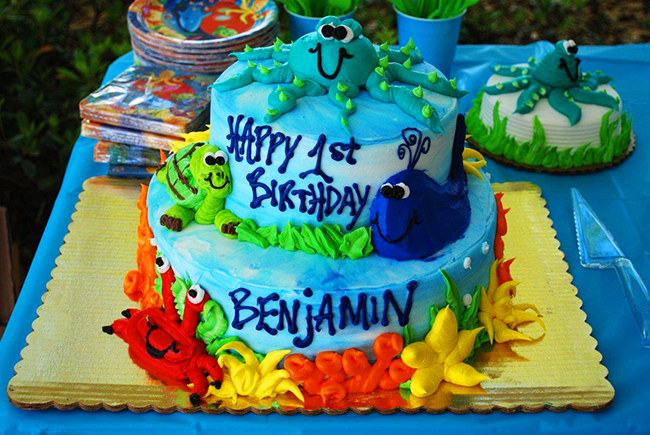 Under the Sea party: Benjamin is 1! 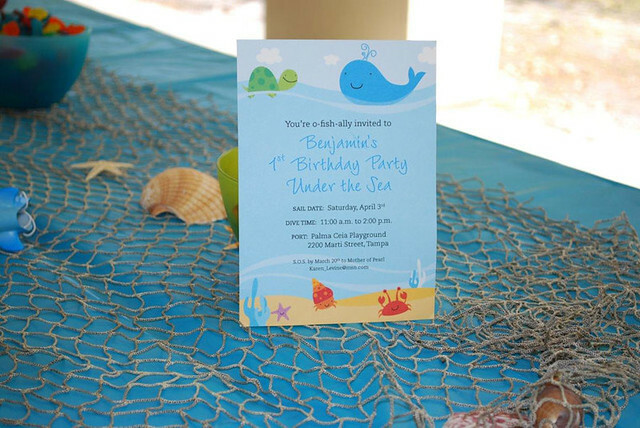 It all started with an Under the Sea invitation! 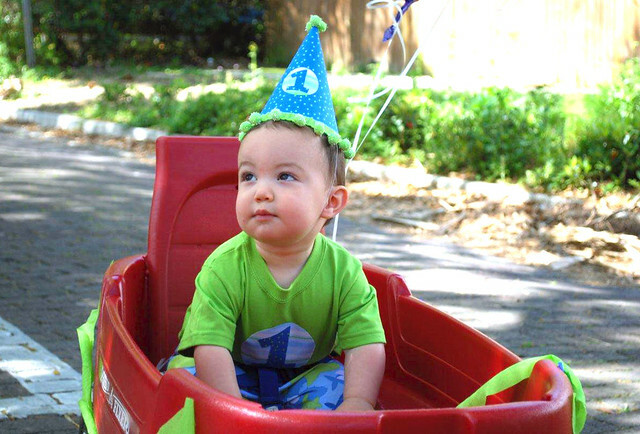 Cutie-pie Benjamin arrives at the park for his party. 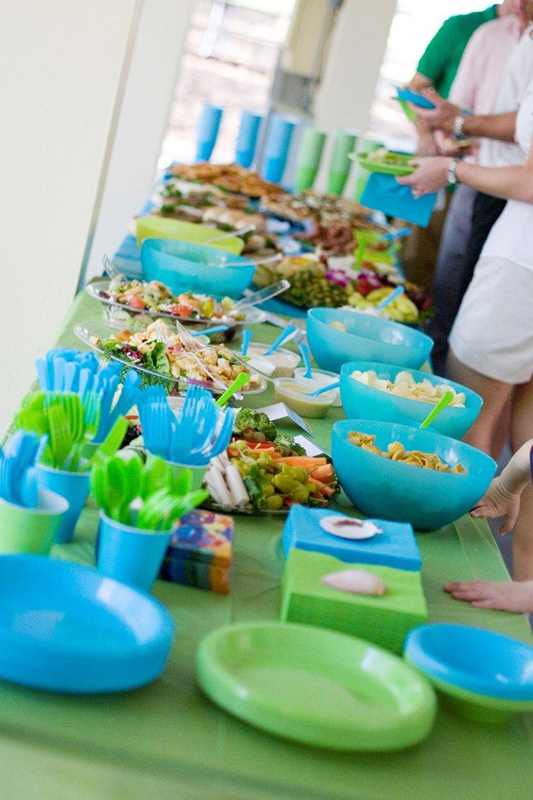 Aqua and sea green are the colors of the day! 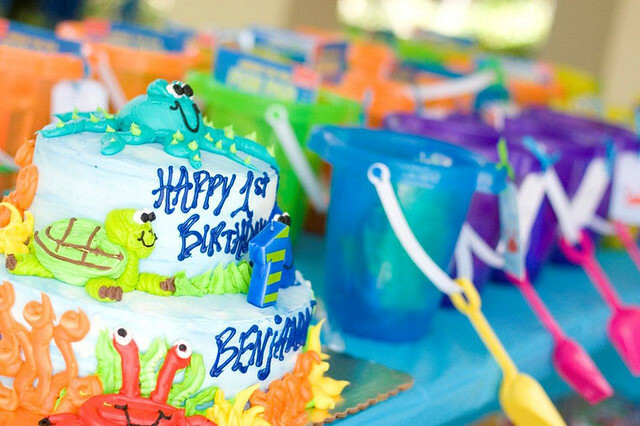 The super-cute cake and party favor buckets. 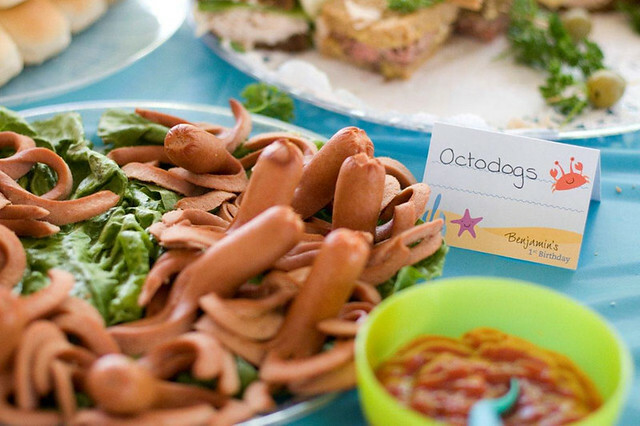 Printable buffet cards label each food with cute theme names. 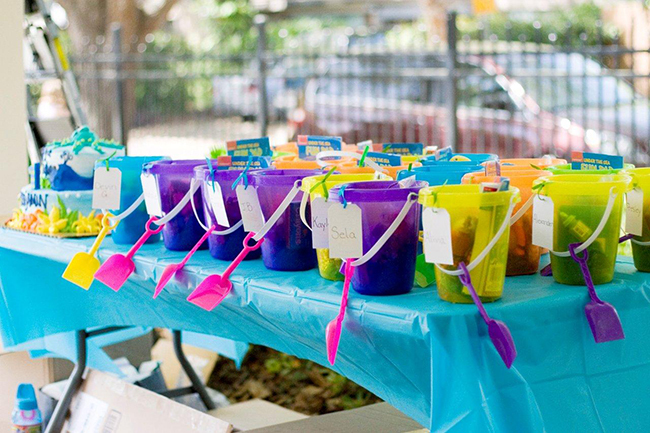 Favor buckets filled with toys await each little guest. 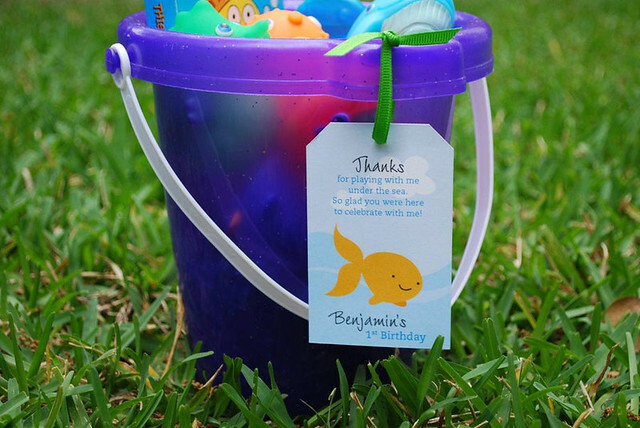 DIY printable favor tags decorate each favor bucket. 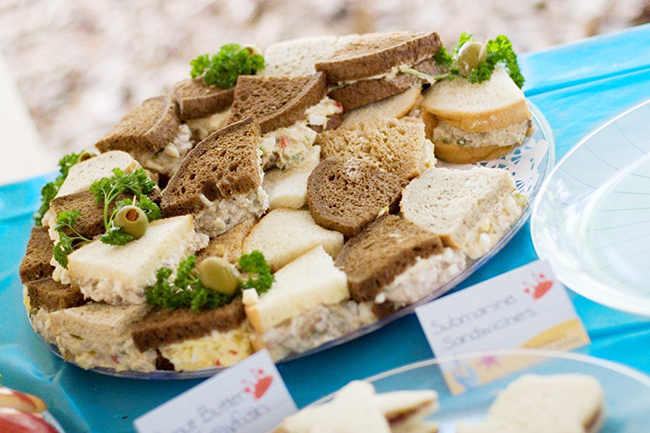 Photos are courtesy of Susan Gentile Photography. 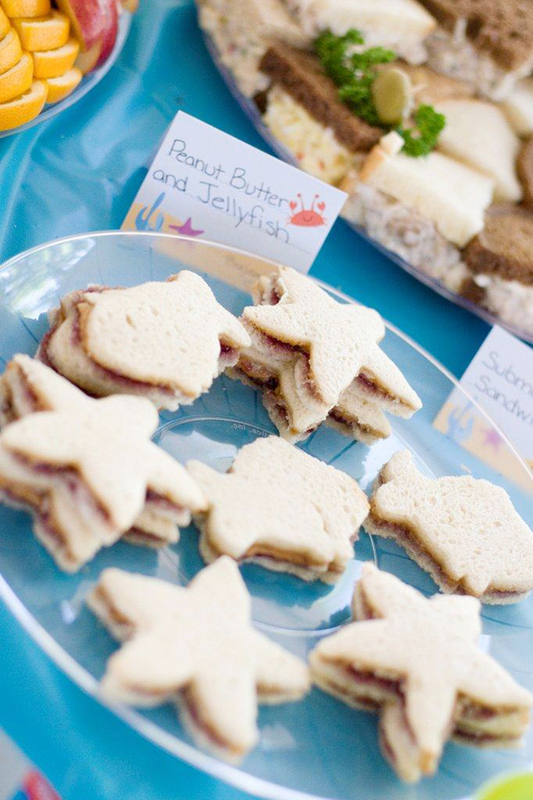 This party was also featured on the Birthday Girl Blog. 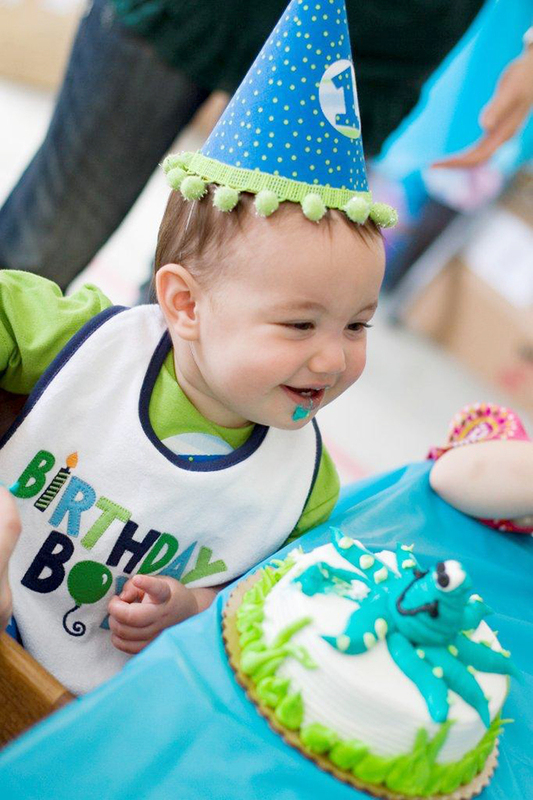 His Party Was So Adorable!! 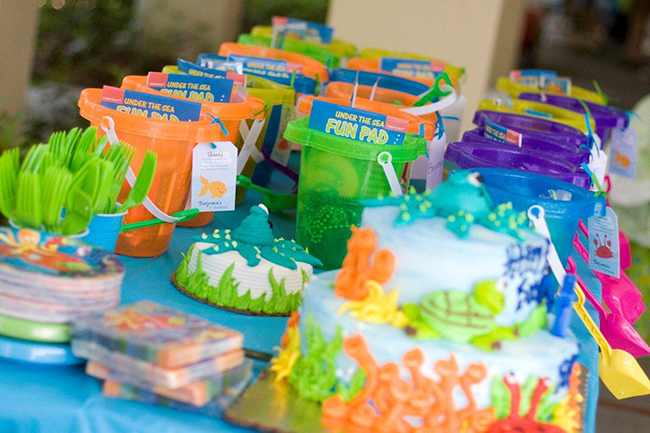 Where Did You Purchase The Sand Pails For His Party Favors? 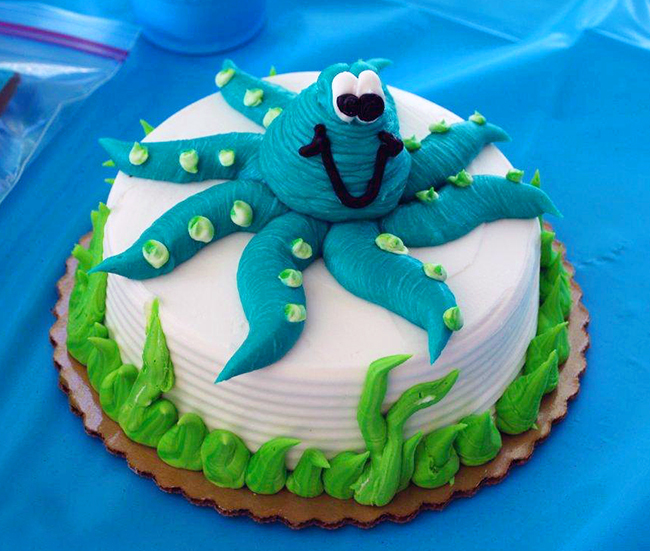 Hi Xyita! 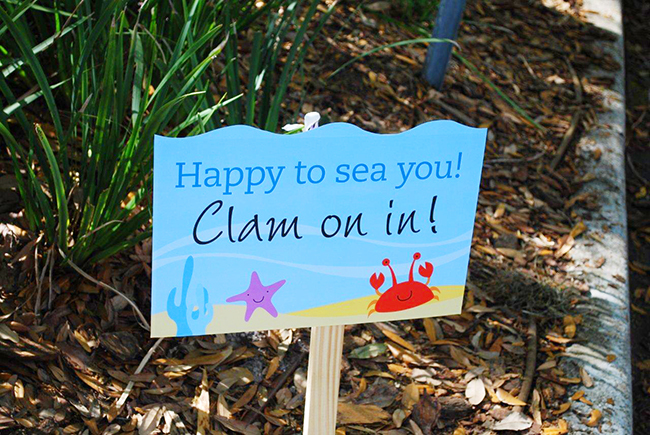 You can get sand pails just about anywhere, like Target, Walmart, JoAnns, etc.